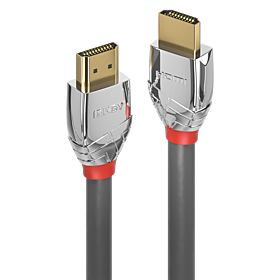 From the Lines cable connectivity concept developed by Lindy, Cromo Line Standard HDMI cables are high performance, designer connections that combine premium construction materials with striking connector architecture. 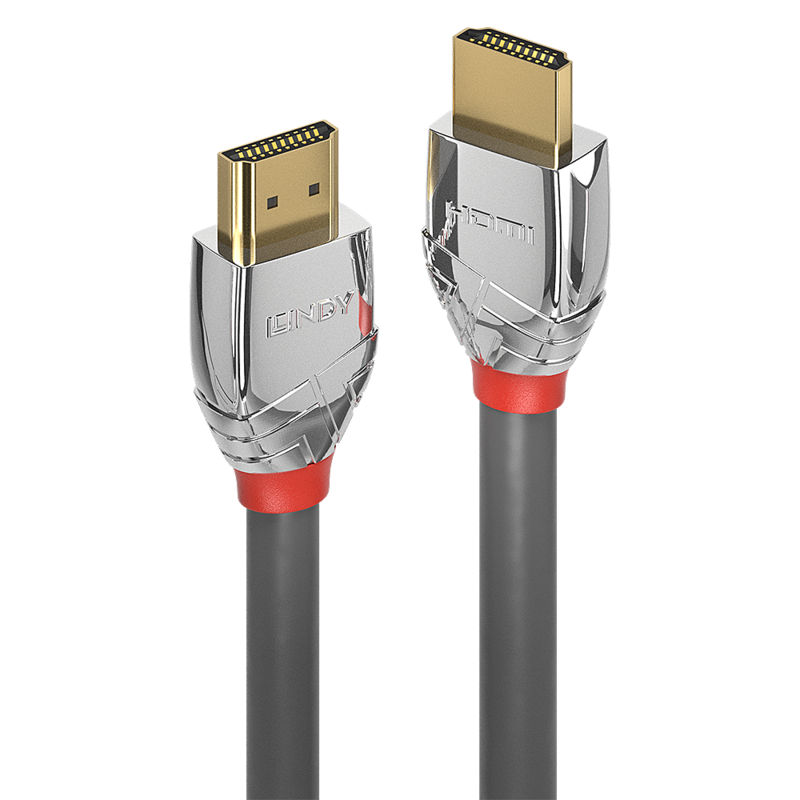 Cromo Line Standard HDMI cables feature triple shielded construction with 26AWG tinned copper conductors for premium performance and corrosion resistance. High quality 24K gold plated contacts and connectors maintain optimal signal integrity and maximum reliability. UHD resolutions up to 4K 4096x2160@60Hz 4:2:0 8bit are supported. Cromo Line HDMI cables are also capable of transmitting 32 channel audio and Dolby True HD. 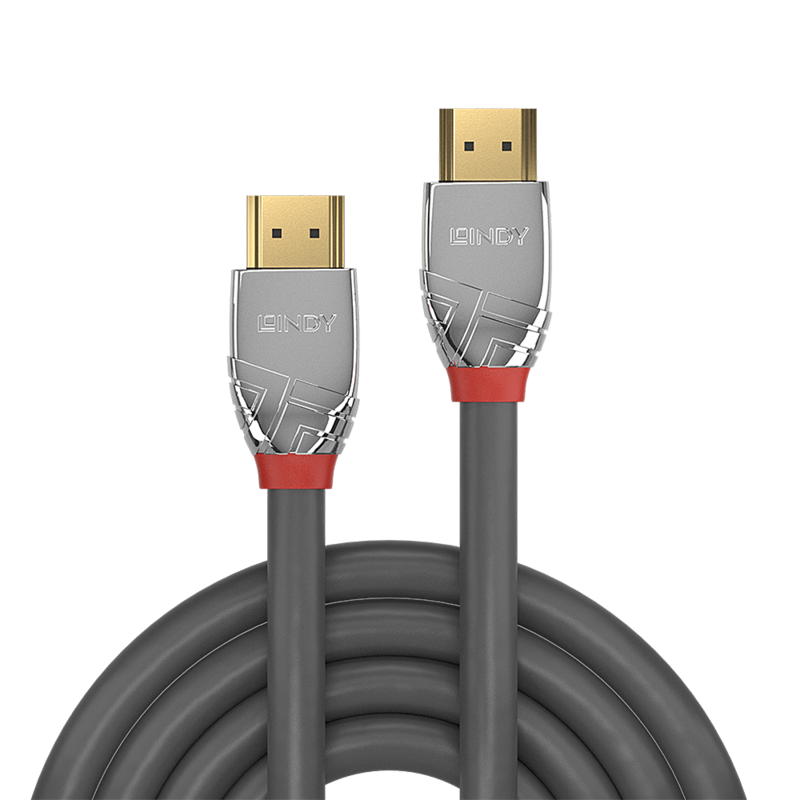 Cromo Line HDMI cables are available in lengths: 0.3m, 0.5m, 1m, 2m, 3m, 5m, 7.5m and 10m.